Fraudulent e-mails containing the subject line "New DHS Report" have been circulating since August 15, 2009. The e-mails claim to be from the Department of Homeland Security (DHS) and the FBI Counterterrorism Division. The e-mail text contains information about "New Usama Bin Ladin Speech Directed to the People of Europe," and has an attachment titled "audio.exe." The attachment is purportedly an audio speech from Bin Ladin; however, it actually contains malicious software intended to steal information from the recipient's system. A fraudulent e-mail message claiming to contain a confidential FBI report titled "New Patterns in Al-Qaeda Financing" has been circulating since August 15, 2009. The e-mail has the subject line "Intelligence Bulletin No. 267," and contains an attachment titled "bulletin.exe." This message, or similar messages, may contain files that are harmful to the recipient’s system and may try to steal user credentials. A fraudulent e-mail, initially appearing around June 16, 2009, claims to contain a confidential FBI report from the FBI "Weapons of Mass Destruction Directorate." The subject line of the email is "RE: Weapons of Mass Destruction Directorate," and contains an attachment "reports.exe". This message and similar messages may contain a file related to the "W32.Waledac" Trojan software, which is designed to steal user authentication credentials or send spam messages. The Internet Crime Complaint Centre [IC3] has recently released a report covering how scammers hijack accounts on social networking sites and spread malicious software by using various techniques. One technique involves the use of spam to promote phishing sites, claiming there has been a violation of the terms of agreement or some other type of issue which needs to be resolved. Other spam entices users to download an application or view a video. Some spam appears to be sent from users' "friends", giving the perception of being legitimate. Once the user responds to the phishing site, downloads the application, or clicks on the video link, their computer, telephone or other digital device becomes infected. Some of the malicious software installed gives the scammers access to your profile and personal information. These programs will automatically send messages to your "friends" list, instructing them to download the new application too. Infected users are often unknowingly spreading additional malware by having infected Web sites posted on their Webpage without their knowledge. Friends are then more likely to click on these sites since they appear to be supported by their contacts. • Be selective of your friends. Once selected, your "friends" can access any information marked as "viewable by all friends"
There is an increasing incidence of 'scareware' surfacing on the Internet. You may have been browsing on Internet sites when you received a pop-up window warning that your computer has an infection or a warning flashing that offers a free scan to see if your computer is infected. You may even receive the equivalent of a 'blue screen of death' which advises your computer has crashed. These are virus protection scams that may offer to sell you software to remove the infection, or scam your computer and remove it for you. The costs vary but generally fall in the range of $30 -50.  However the scam arises if you purchase the software as it doesn't work. When you download it, you may even receive malicious software as part of the download. This software may try to steal personal information and passwords, or it may install 'ransomware' that makes some of your data unavailable until you pay a fee to receive the unlock code. It has been reported that there are over 16, 000 varieties of these scareware programs who are trying to extract your money or personal information. You may receive this scareware in various ways that can include a message offering what appears as a legitimate update for software on your computer [such as a Flash player], by clicking on fake links in emails, Google ads or hijacked web pages. The end result is the same however – you receive a warning with the option of a download. To complicate the problem, even if you suspect it is a fake message, trying to escape can be difficult. If you close the warning window, you may activate another one, or worse, you may not be able to close the browser window or use your back button! • Don't click on pop-ups that claim your computer is infected, or accept offers to scan your computer to check it for viruses. Don't click on the 'no' option in the pop-up box – use the 'X' in the top right corner, or if it doesn't work, right click on the program icon in the taskbar and choose close. Failing that, simultaneously press Control-Alt-Delete keys that will bring up the Windows Task Manager and then select the browser and choose 'end task'.